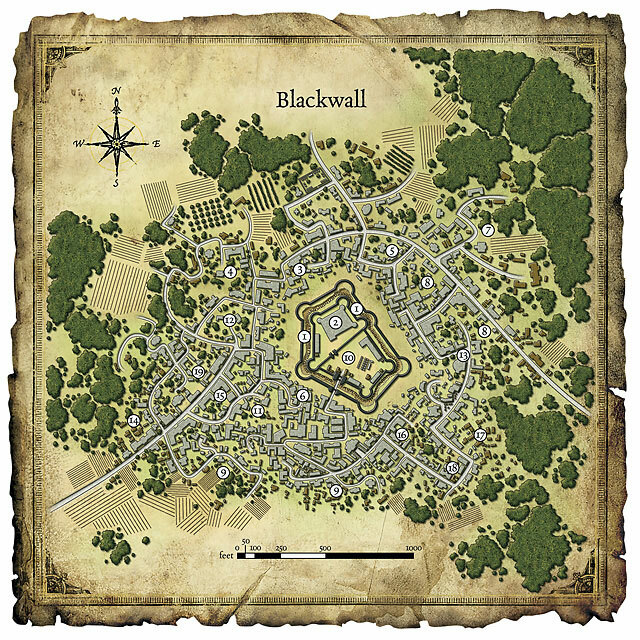 Black wall city is named after the massive wall surrounding the inner keep and castle, over 50' high and night black, its actually hard to see at night time. This castle holds the King himself, he rules the entire southeastern part of the world, everythign east of Crevisha. The city itself is pretty rundown, small shops and buisnesses often go out of buisness within their first 5 years of being open. To keep from falling to far in debt the city sells its grand fighters to other cities to be used in armies or militias. Black Wall produces the best fighters in all Gernada, rivaled only by Turil's fighters Guild, these warriors are trained by Relet Herald, a knight of unrivaled compatence. Its said a deep cavern lies under the central keep, a stronghold for the citizens of the city incase of an unlikely attack from enemies. The farmlands of Black Wall grow and sell the finest weeds known to the races, this is another way the make money in this rundown city. This is one of the only cities that doesn't have 'classes' of citizens, everyone is created equal, regadless of birth, race, gender or anything else. Everyone is also trained to fight to some degree and all pose a threat to the normal traveler, some normal citizens are extrordinary warriors and never went to the Black Sword School (BSS). The High Knight of Black Wall City, Relet is a human warrior, and nearly unmatched in all Gernada, his story's are told by the gnomish bards, in dwarven historys and sung by the elves. Standing just over six feet tall, and average weight, this strikingly good looking fellow is way more dangerous, and serious than he looks. Wavy blond hair and a clean shaven face let his blue eyes and strong cheek bones stand out, his shiny plate mail and steel sheild both bear the mark of Black Wall's BSS, a black great sword -spiked near the hilt- stabbing the earth. His black great sword hangs on his back nearly everywhere he goes. Its said Relet not only teaches all students at the BSS but also challanges them all for their graduation, not a fight to the death, deciding himself if they are ready to be allowed into the ranks of the for-hire-army. When he is not teaching or dueling he looks over the Keeps guard and his one of the kings 6 personal body guards. King Delmust is very young to be king, 25 years old, but does his job fairly well. Some blame him for the city's lack of funds, but its been this way for nearly a centrury. Delmust has black hair and full beard, exactly six feet in height, and usually clad in a royal black cloak with banded mail dyed cloud white. His long sword matches his mail and his milky white eyes. For this reason, among his usual angry attitude, people have a hard talking to, or disagreeing with, Delmust, he takes his role very seriously and leaves no room for jesting or playing around. Daily he walks around one section of the city making sure everything is in order, accompanied by his six personal guards of course, and collects his taxes, personaly, weekly. Delmust have three wives, each living in a sepearte tower of the castle, being four one is his own, and shares his personal chambers with noone, execpt Relet and Hermi, his Sorcerer advisory. Hermi the bear, an old sorcerer of 62 years, is Delmust's magical advisor. He lives in a secluded room in the castles lower levels. A human with wrinkly tan skin and a bald head with a long white beard. His eyes have turned silver from some side effect of plane hopping and he is completely mute. He relys on telepathic communication to communicate, and while he is a powerful sorcerer, casting his spell silently is just one more deadly feature this old man has going for him. Everywhere he goes he demands respect, and gets it, without even asking. Everyone from Crevisha to Sallera knows of him, and most fear him. 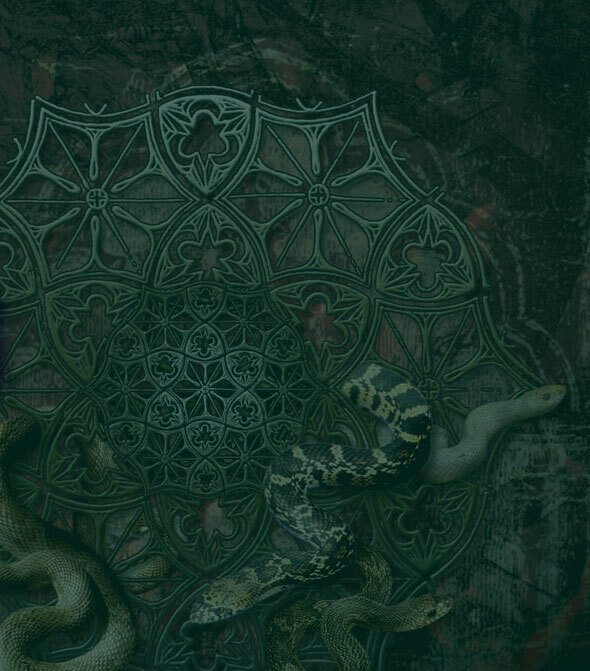 Only the King and Relet know his true intentions, although, its well known he has more in his plans than watching Black Wall grow and prosper in time. Hermi usually spends his days in the company of the king, everywhere he goes, but when not following Delmust around he is in his private quarters, perfecting his art and creating who knows what. He is a common patron, and he does pay, at the local magic shop, Ele'Blumies Trinkets. The lady has been in buisness for nearly fifty years and has no intentions of stopping now. Ele is a human female with long red hair, lots of freckels and a curvy figure, in all the right palces. She sells spell components, magic weapons, scrolls, potions, various magic items and preforms any magical service. All for the cheapest prices in Gernada. She is a warming sight in Black Wall, and a very funny lass. She takes special pride in her book of jokes, which she attempts to spring quotes from, at least a few times, to every customer. Blumie is nearly the opposite, a hard working gnome with grey hair and eyes to match. His wrinkled nose seems to have been broken or smashed many times, he is also missing his two middle fingers on his right hand. Blumie invents most of the devices in the shop and is more serious about his work than Ele ever thought of being. He also despises her joke book, but keeps that to himself. Ele'Blumies Trinkets, Ele's, is the one most flourishing buisness in the whole city. The lady has been in buisness for nearly fifty years and has no intentions of stopping now. Ele is a human female with long red hair, lots of freckels and a curvy figure, in all the right palces. She sells spell components, magic weapons, scrolls, potions, various magic items and preforms any magical service. All for the cheapest prices in Gernada. The shop itself is made up of three buildings, one for selling things, one for creating potions and scrolls, and one for creating and testing magic weapons and devices. She runs the shop with small help, literally, a Gnome by the name of Blumie LitleMagi. Ele and Blumie make all items themselves, and the few they don't are only for sale after intense studying and testing. The 'shop' building is lined, wall to wall, with shelves encased in a wall of force, so no one without Ele's permission can touch anything. Everything is neatly organized in sections, Scrolls and potions on the east wall, weapons on the west, armor on the north and devices on the south. Her counter is made of marble and glass, and shaped into an octagone in the middle of the room, the roof seems not to be there at all and always shows the moon and stars in a clear night sky. Rusty's pub is run by a human male bard, named Rusty, with long blond hair, bleach white teeth and deep blue eyes. A womanizer if there ever was one. He takes almost as much pride in his personal looks as he does in the look of the pub iteself. Polished wood floors and walls, the tables and chairs carved with intricate designs and filled with shiny silver dye. The bar itslelf has a countertop of silver, with marble white trim also. The place shines with beauty and is very expensive, chandiliers serve as lighting while a well built fire place roars in the winter. The fire place is made of sturdy white marble with silver accents. He offers rooms with two beds a room, a table and a compimentary copy of the local paper. Lots of decorations hang in the pub's main room and the bedrooms, including muliple pictures of him in muliple poses. Some others show Relet and King Delmust standing beside Rusty. Every night he entertains his patrons with a well told story, with a free round of drinks when he begins. Market way is four streets intertwined which are lined with various stands. Some selling weapons and armor, other fuits and vegetables. Some selling lesser magic items and potions, some selling things rivaling Ele's shop. Vendors with cooling boxes selling meats, hides, furs, and vairous jewlery made from animal teeth and claws. More than half of all the stands sell strictly spices, powders and jewlery (each piece worth less than 300gp). Dwarves, Elves, Gnomes, Halflings and Humans all take up shop on Market Way alike, and in near equal propotions. The way is somewhat organized into racial streets, Humans on one, Dwarves on one, Elves on one and Gnomes and Halflings share their street.